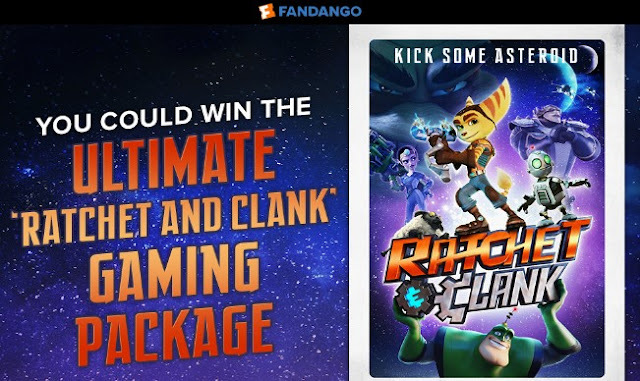 To celebrate the release of the movie on April 29th, Fandango wants you to enter for a chance to win a gaming prize with a PS4, a High Def TV and the Ratchet And Clank video game and more! GRAND PRIZE: One (1) ‘Ratchet and Clank’ PlayStation 4 Game (approximate retail value (“ARV”) $40.00), one (1) PlayStation 4 video game console (ARV $400.00), one (1) high-definition television (ARV $400.00), one (1) PlayStation wireless headset (ARV $80.00), and a $100 PlayStation store gift card (ARV $100.00). The total ARV of the Grand Prize is one thousand twenty dollars and zero cents ($1,020.00). HINT: You can actually get up to TEN entries! See the rules for details. This Sweepstakes ends on 05/09/16 and you can ENTER ONCE to win.